From the heart of Paso Robles, brothers Josh and Jake Beckett have given voice to regional wines with unforgettable labels built on quality fruit and a signature easy-going style. Expect this Zinfandel-dominated blend with a smidge of Syrah to engage ghouls and goblins with a deadly mix of black cherry and strawberry driven fruit medleys. The loud, eye-catching label leans heavily into Mexico’s Day of the Dead holiday themes, making this bottle a go-to grab for all sorts of Halloween gatherings. This is a classic Rhone-inspired blend delivering Grenache, Syrah, Mourvedre, and Cinsaut, but with an ominous name like “Sinister Hand” – you know there’s got to be a haunting backstory. And there is. Seventeenth century legend holds that two Irish families, the O’neills and O’Reillys (of course), determined their claim on a prized plot of land by entering into a rowing race. The straightforward agreement was that whichever team reached the land first won. Fair enough. However, when O’Neill’s boat began trailing behind, a member of the crew, reached for his own sword, chopped off his hand and tossed it to shore – going to great lengths to secure the land for the O’Neills. Rumor has it the land remains in the O’Neill family today. Not all Halloween wines need to be devious and dark, some may inspire last minute costume designs: enter Lodi’s Plungerhead Cab. A light-hearted Cab that is as affordable as it is drinkable. Perfect for pairing with tricks and treats, making the most of mini milk chocolate candy bars, malted milk balls, and more, this Lodi red is fun and flexible with plenty of blackberries and raspberries up front and center well-supported by slices of chocolate, a sprinkle of pumpkin pie spice and a smidge of smoke. 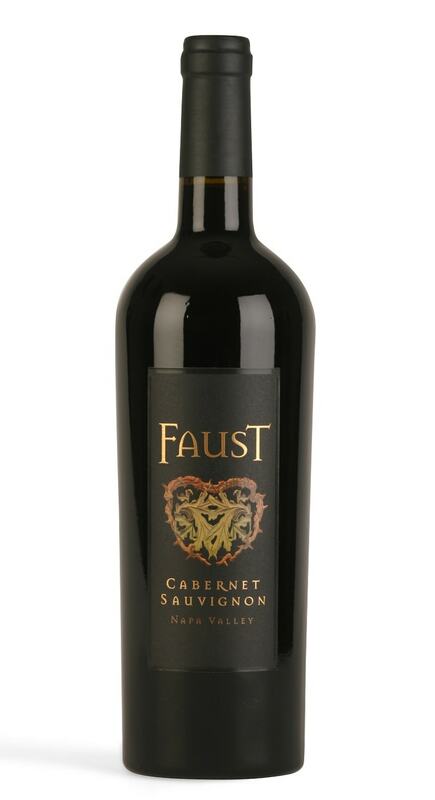 For the more cerebral Halloween imbiber, Faust is a deeply concentrated Napa Cabernet deriving its name from Goethe’s tragic play whereby Dr. Faust sells his soul to the Devil in exchange for power, pleasure, enduring youth and infinite knowledge. While this richly textured Cabernet Sauvignon doesn’t make any such promises it does deliver, mystery and intrigue, brooding dark fruit, a full body, stunning structure and an ongoing finish. What does the “M” stand for? Mendoza, moon, mystery, Malbec, magic. Well, Alma Negra says, it’s up to the drinker. Whatever the connotation, this magical red wine brews up a healthy blend of Bonarda and Malbec, and pours almost as inky black as the label itself. Black fruit character, dusty dark chocolate, and peppery spice with a snip of black licorice all fold themselves into dense layers of liquid delight. The M Blend label, a foreboding enigma, promises to deliver some serious mystery on Halloween night. Named for the shadowy pines that border the Ghost Pines Vineyard in Napa Valley, this otherworldly Chardonnay is a certain sip for those eating as much candy corn as they’re passing out. Expect to go bobbing for apples with this one as Granny Smith meets Gala and tart mingles with sweet, medium-bodied, with creamy textures and an ethereal finish. Poizin, dubbed the “wine to die for,” is a Dry Creek Valley Zinfandel that’s made for Halloween. Adorned with blood-red labeling, complete with creepy font and a haunting skull and crossbones graphic, this wine is the one to sip while passing out Halloween candy. And it’s delicious with both milk and dark chocolate, that may or may not make it into the candy bowl this year. What’s not to love? From the makers of Apothic Red and dripping with Gothic intrigue, the Apothic dark delivers a haunting blend of Petite Sirah, Cabernet Sauvignon, and Petit Verdot. No need for candy, this one carries its own stash of ripe berry fruit flavors wrapped up in dark chocolate decadence. Wow…Apothic Red…You folks sure are connoisseurs of wine, ain’t ya’? Also, von Buhl has a Dry Organic Riesling with a Skull / Dia de los Muertos design that glows in black light. Dislclaimer: our store sells it. But it’s good!